PacWest offers a complete line of products used in the farming and agricultural industries. 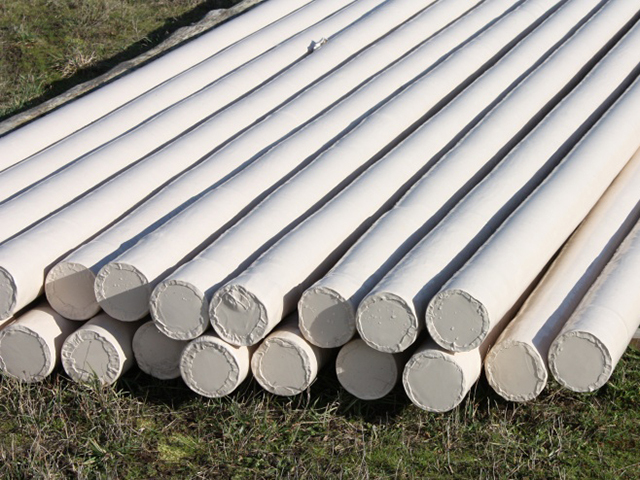 Pacific Western supplies peeled posts and poles in a variety of sizes ranging from tip diameters of 2”-3” through 7”-8” in lengths up to 26’. The primary species is Lodgepole Pine although Douglas Fir is often used depending on the application. Peeled posts and poles can also be pressure-treated using CCA or ACQ preservative. 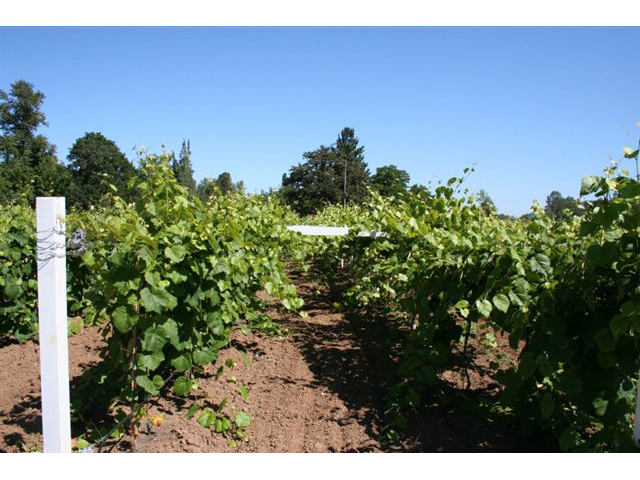 Primary uses for this product are fencing, vineyard posts, hop poles, and tree props. 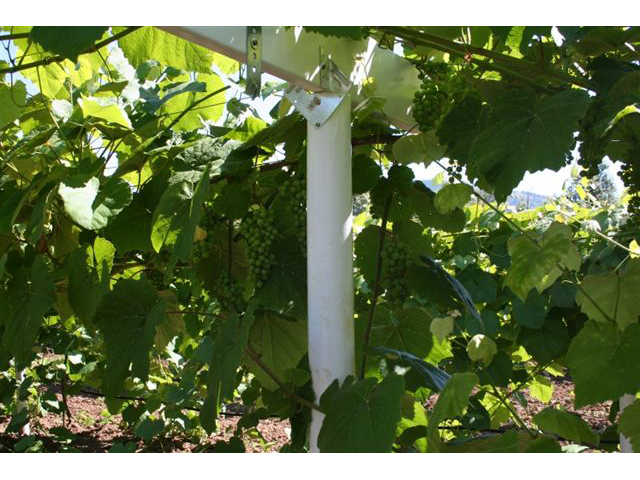 We supply grape stakes and posts, tree stakes, metal T Posts, vineyard posts, pepper and tomato stakes, round post & rail fencing, hop poles and trellis material. These products are available in all western softwood species as well as imported woods. A variety of pressure treatments are also available depending on the specific application. PacWest can supply any of these products in full or mixed truckload quantities. PacWest Lumber supplies a wide array of agricultural products. Vineyard posts are typically used as line posts or end posts in grape growing operations. Vineyard posts are available as constant diameter dowels or peeled posts that follow the natural taper of the log. Lengths 6′ thru 12′ are most often used although special lengths are available on request. 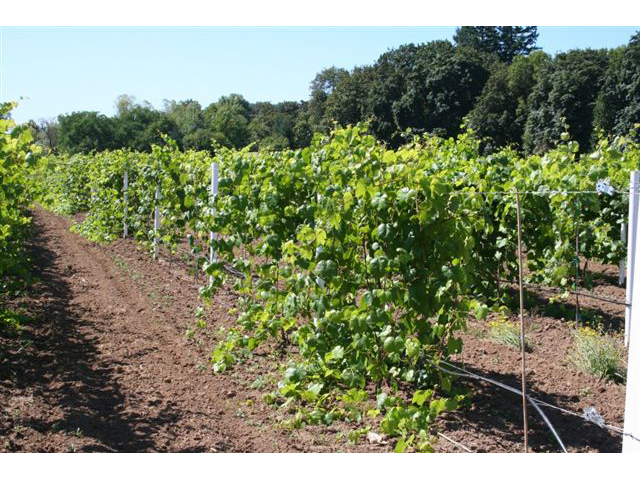 Vineyard posts are available as either pressure-treated or untreated. CCA and ACQ are the most common treatments used. Species available are Lodgepole Pine, Douglas Fir, Western Red Cedar, and Juniper. 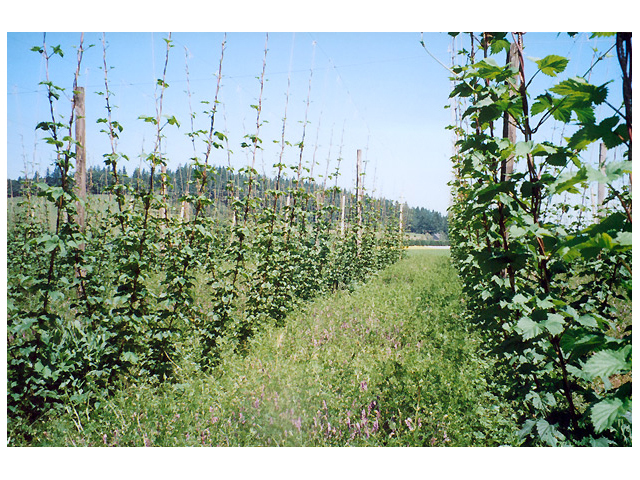 PacWest can offer quality Hop Poles manufactured from peeled Douglas Fir and/or Lodgepole Pine. Hop Poles are used to support the twine on which hop vines grow. 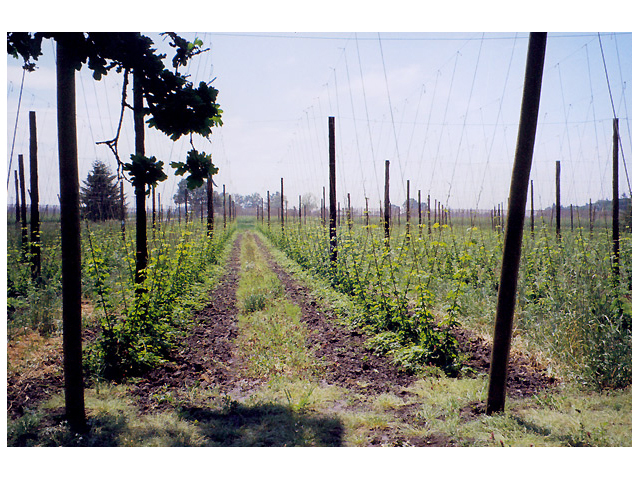 Hop Poles are one of the major components of the support system which enables the vines to grow to their full potential. 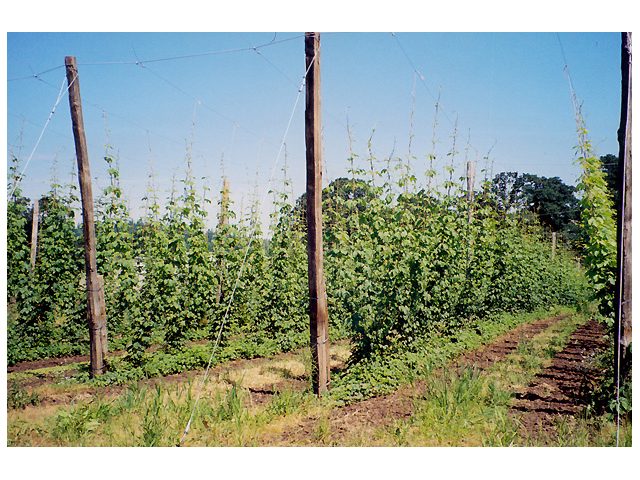 Hop Poles are normally provided as untreated, however specialty pressure treatments are available on request. PacWest normally has these items in inventory available for prompt delivery throughout North America. Wood dowels are also available in a smooth sanded form for furniture and high end exposed applications. 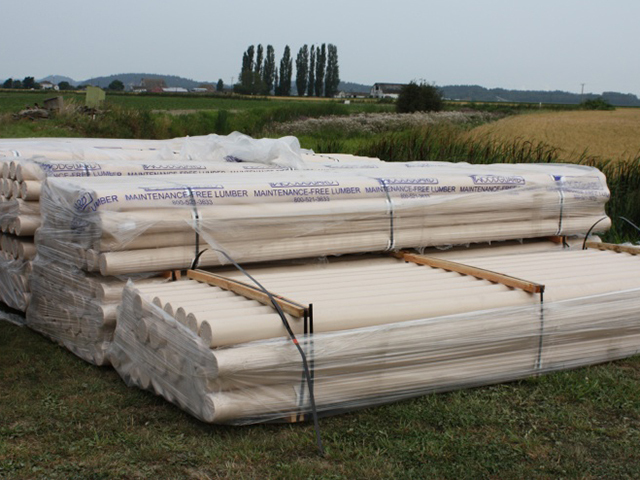 Pacwest normally packages wood dowels in easy to handle square packages ready for treating or job site delivery.